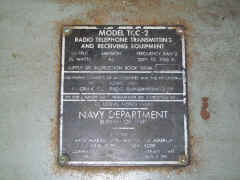 Please send e-mail if you have any photos, additional info, etc. 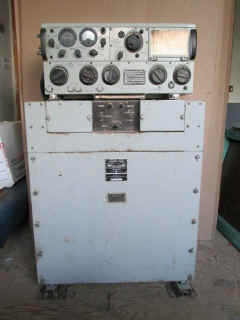 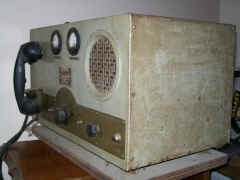 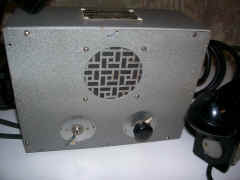 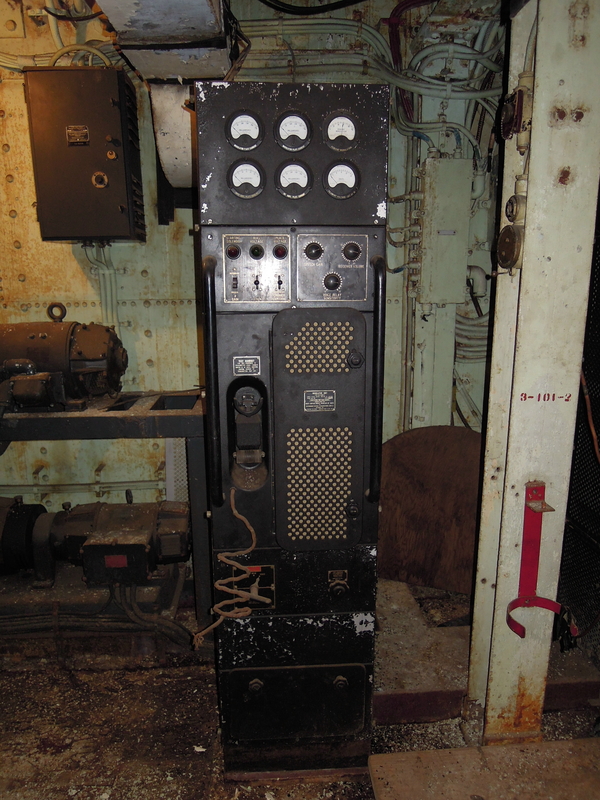 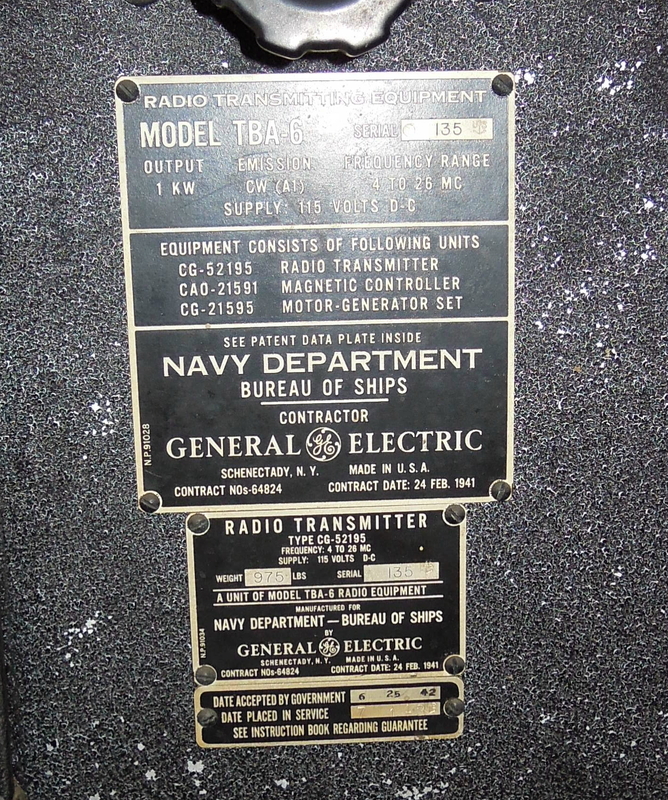 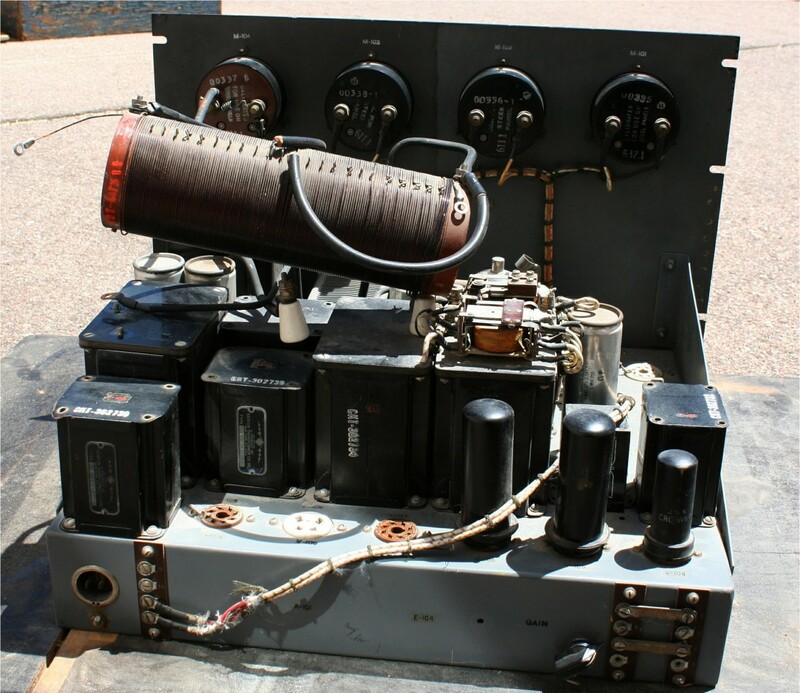 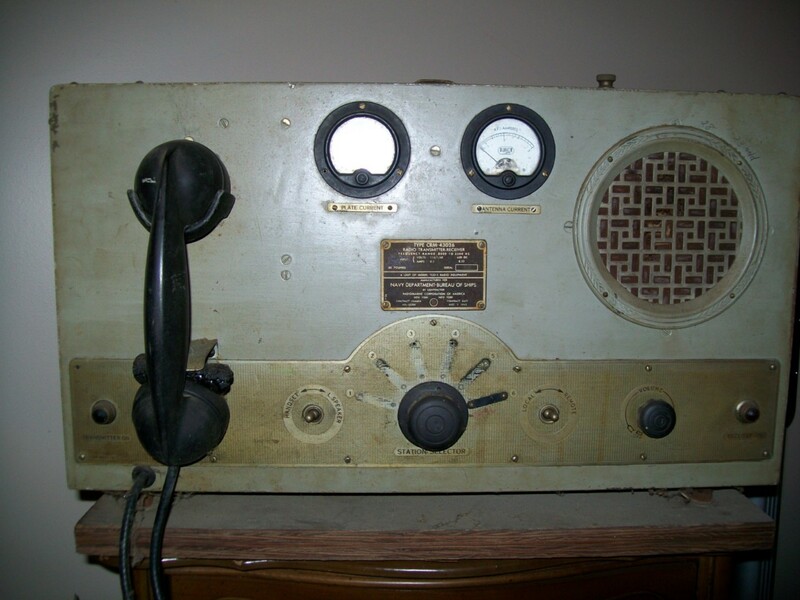 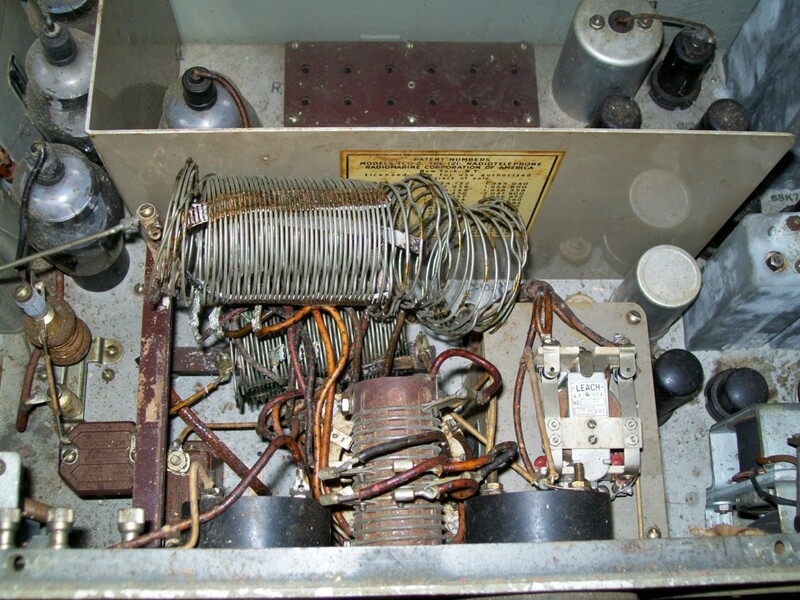 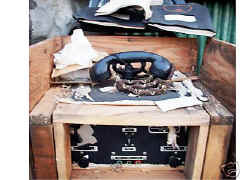 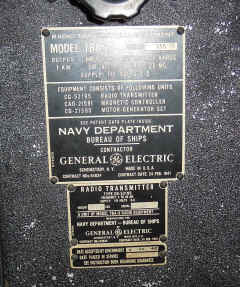 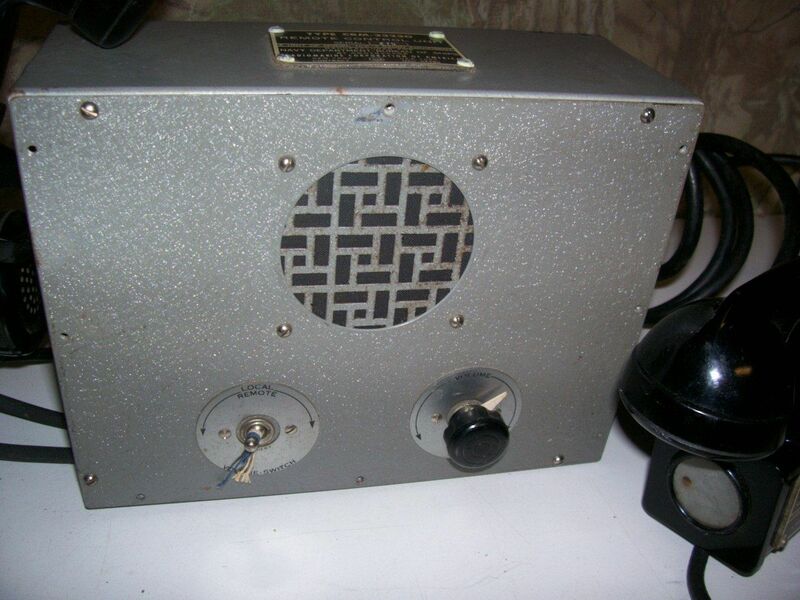 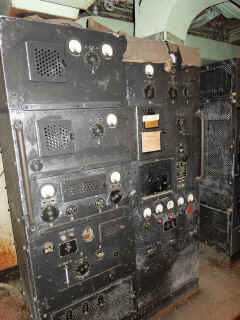 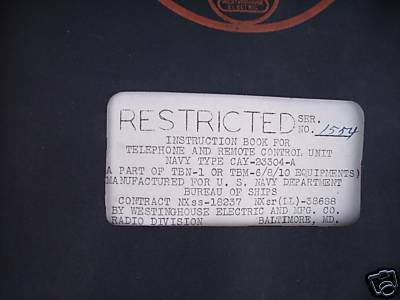 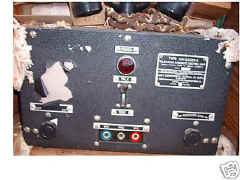 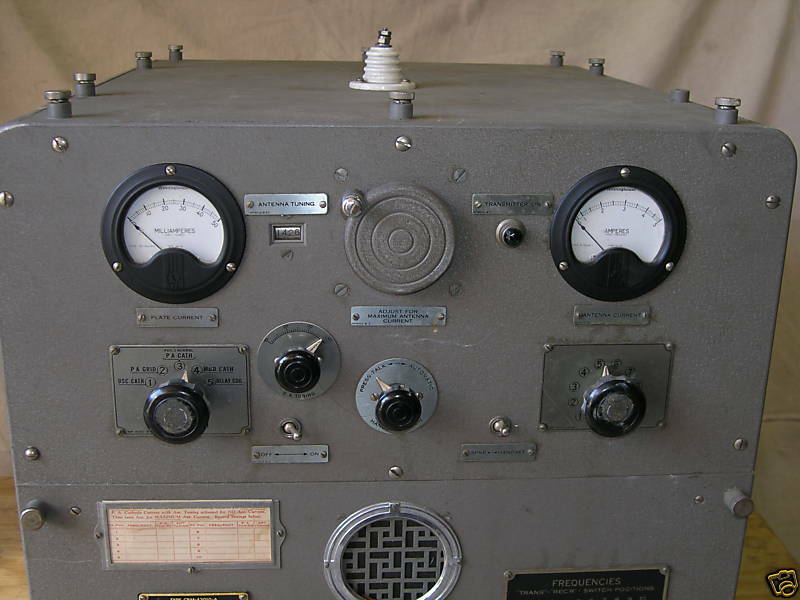 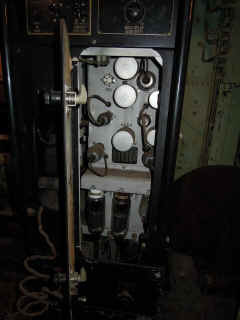 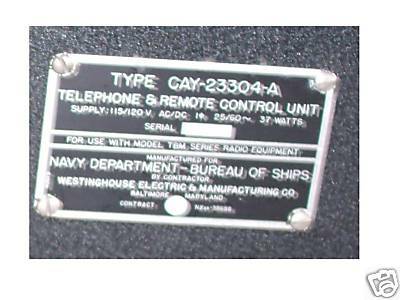 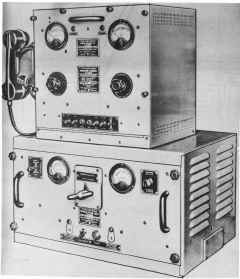 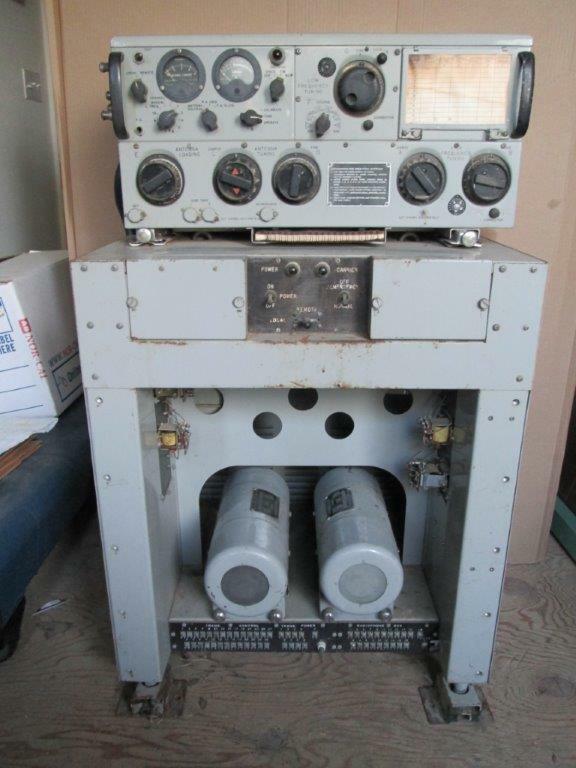 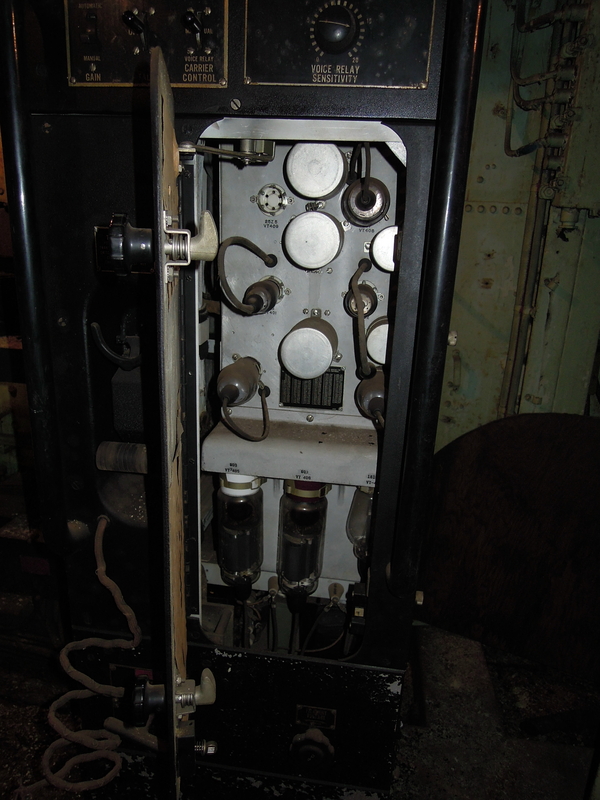 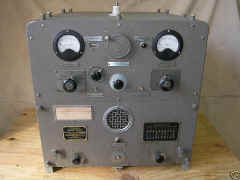 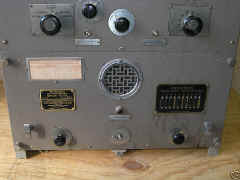 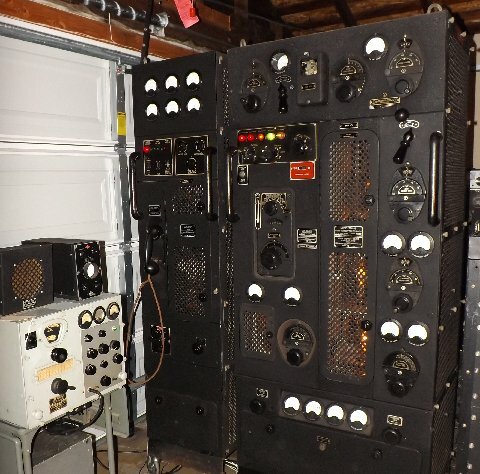 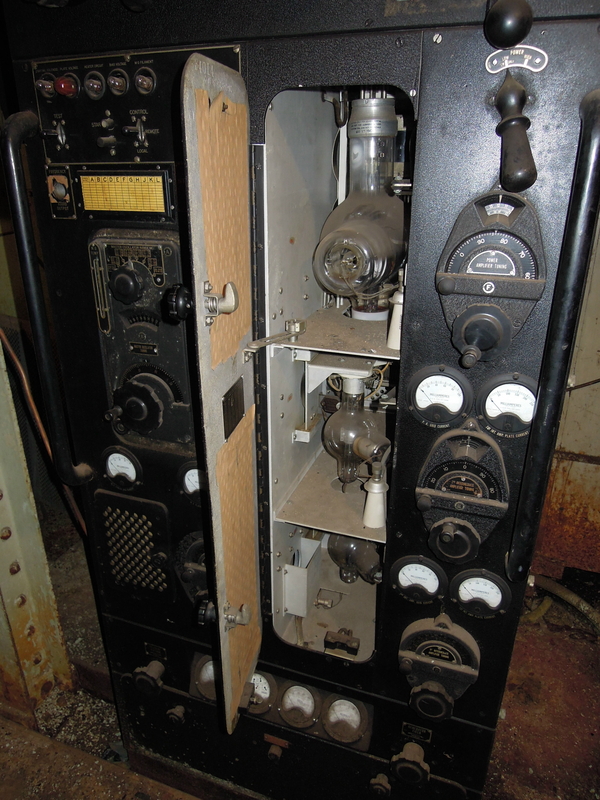 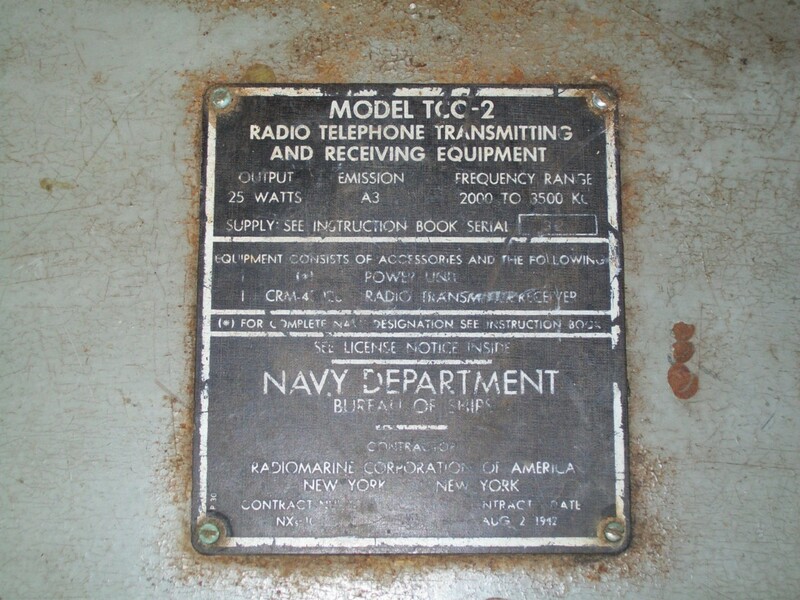 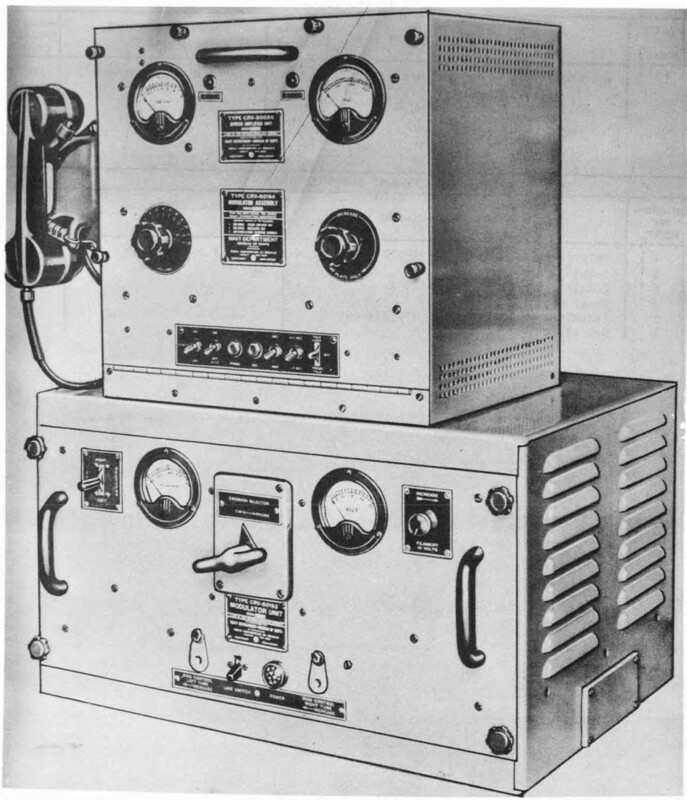 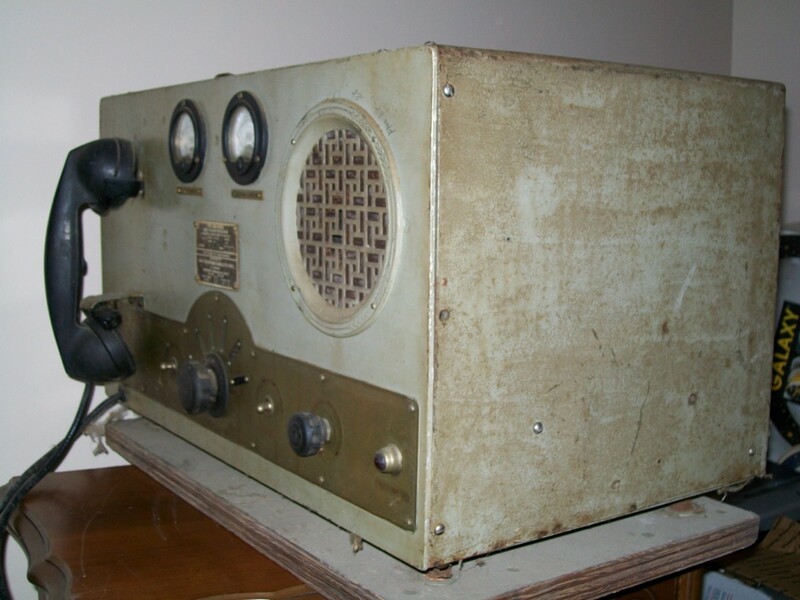 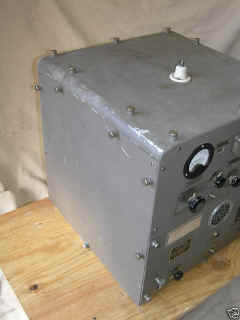 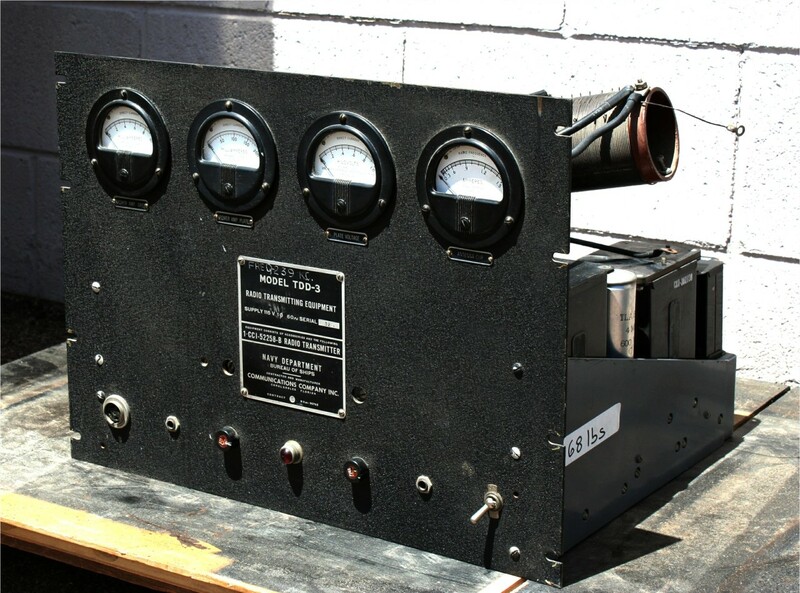 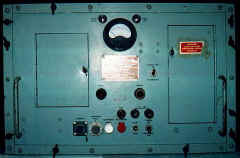 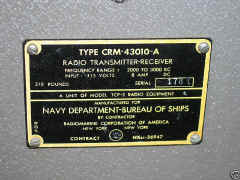 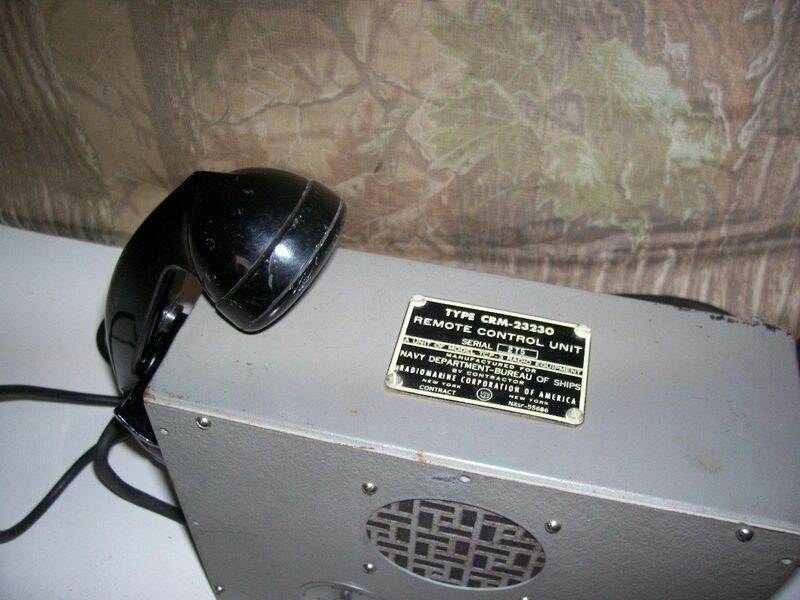 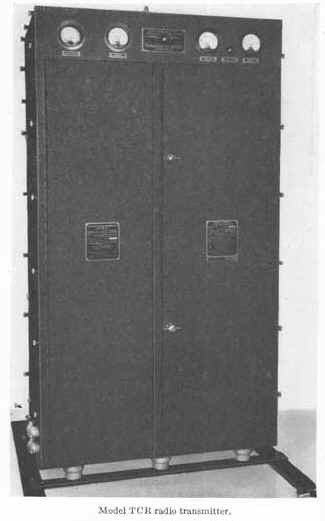 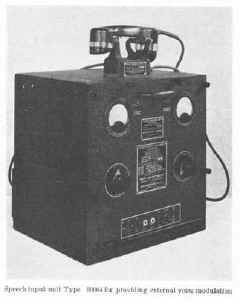 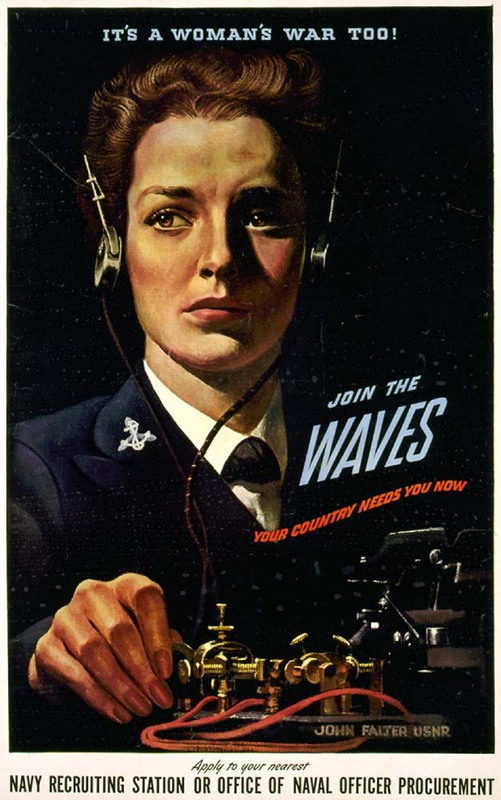 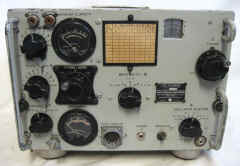 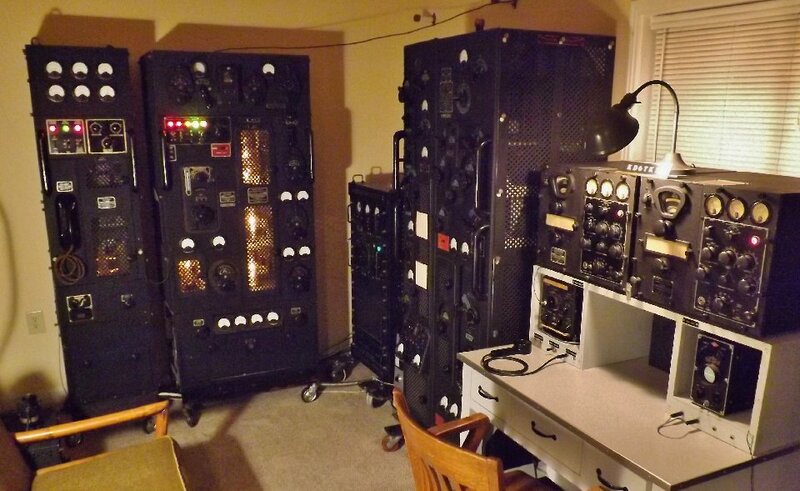 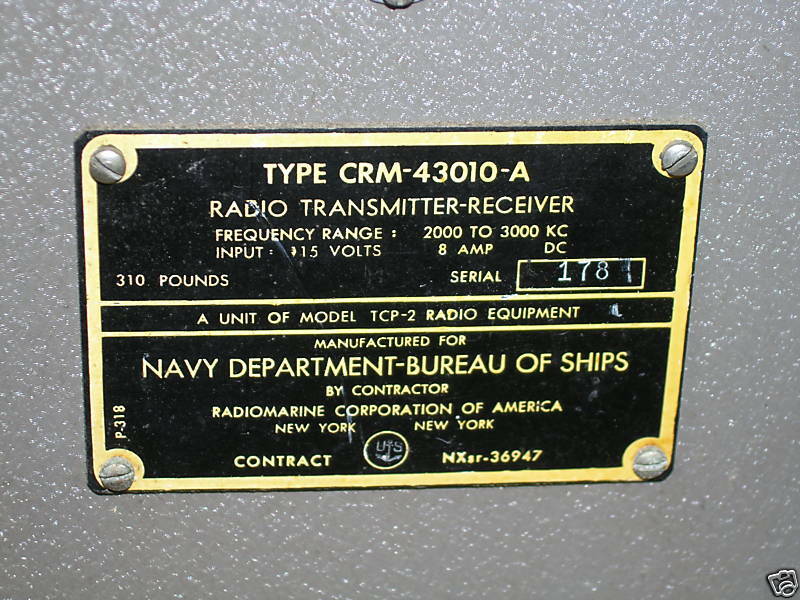 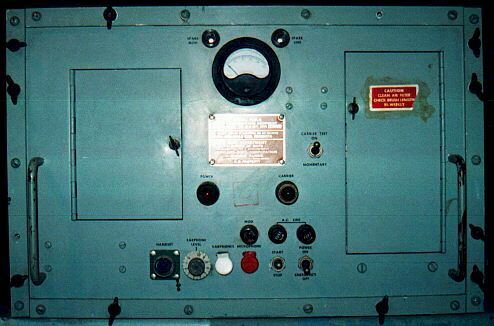 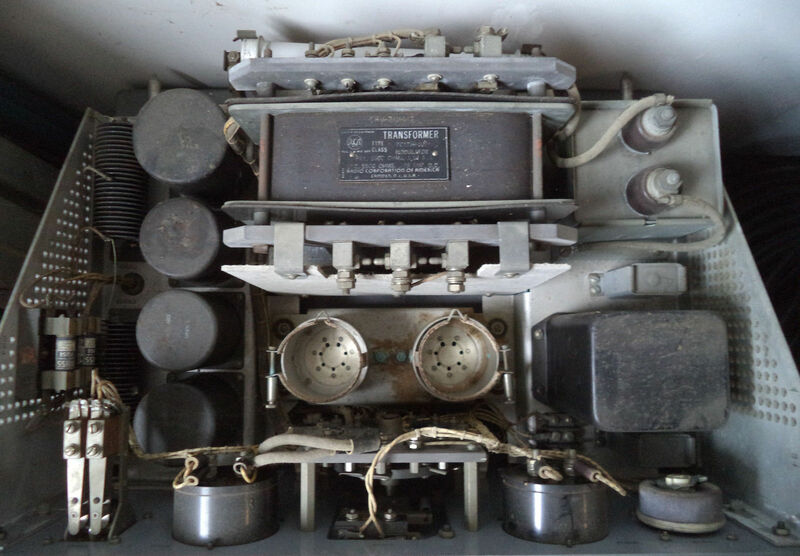 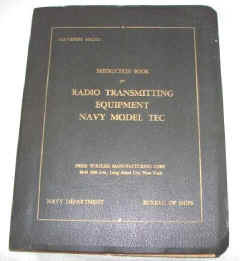 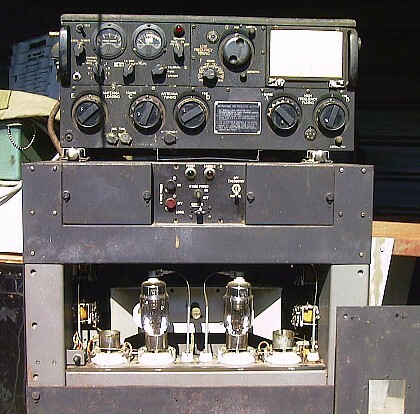 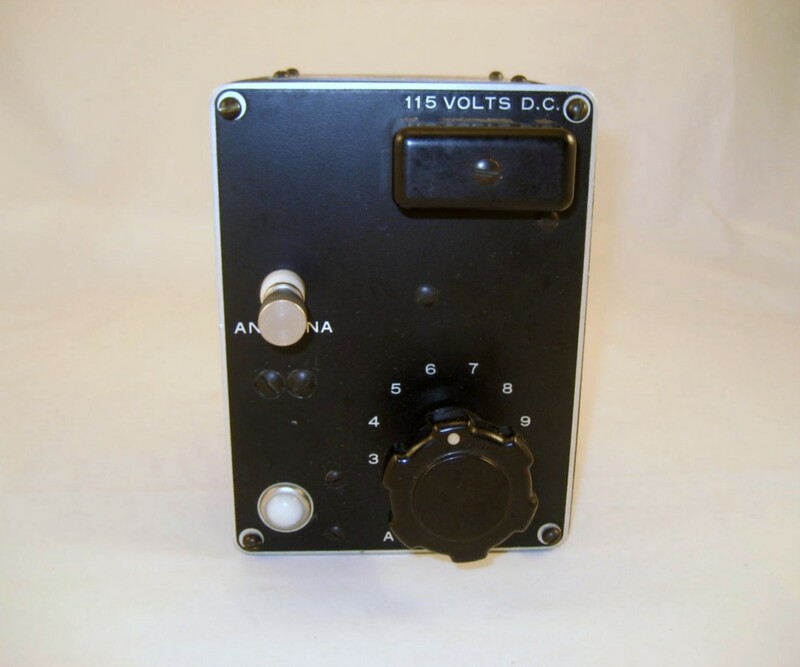 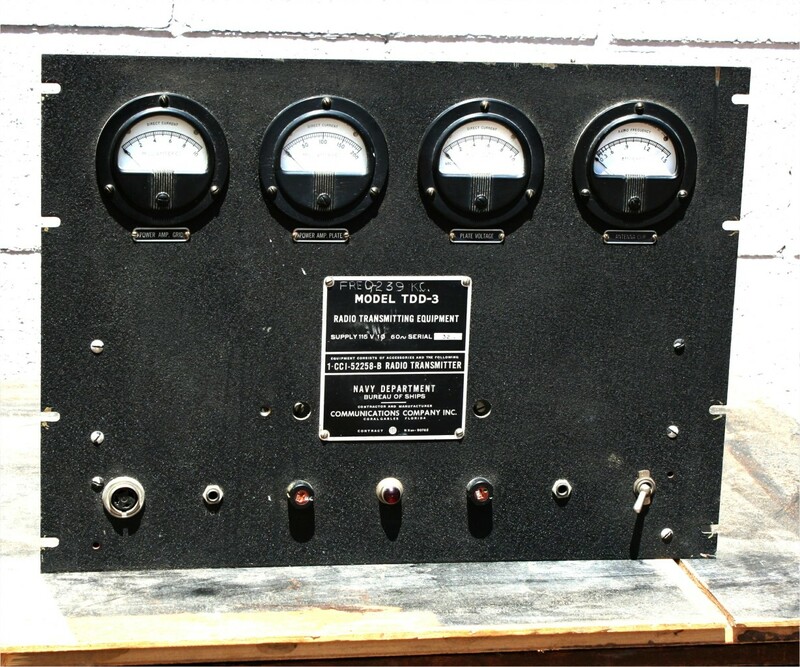 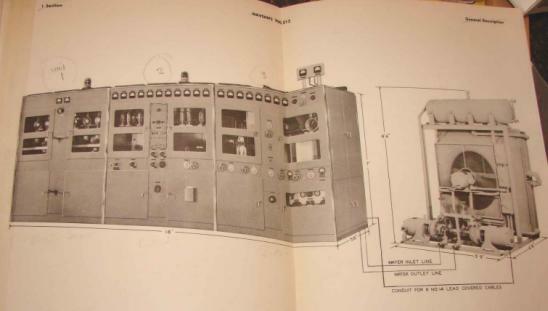 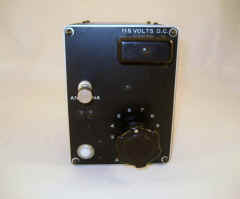 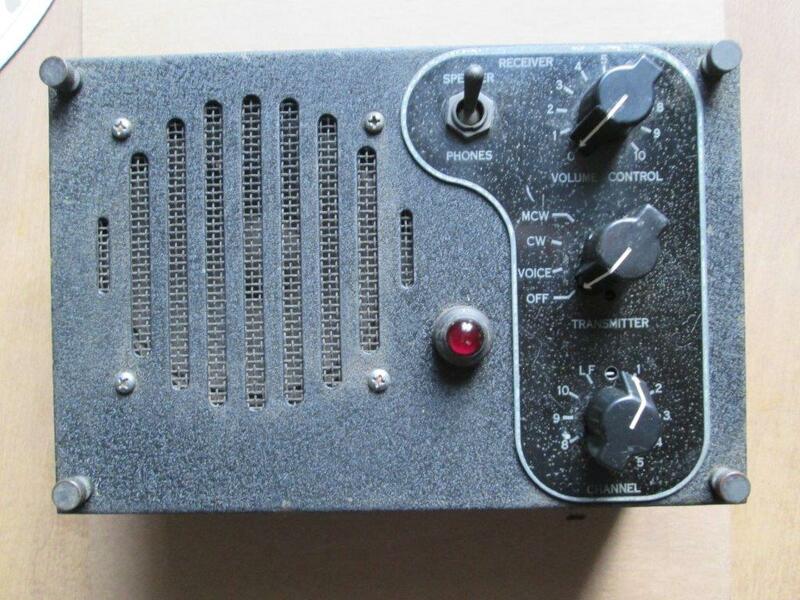 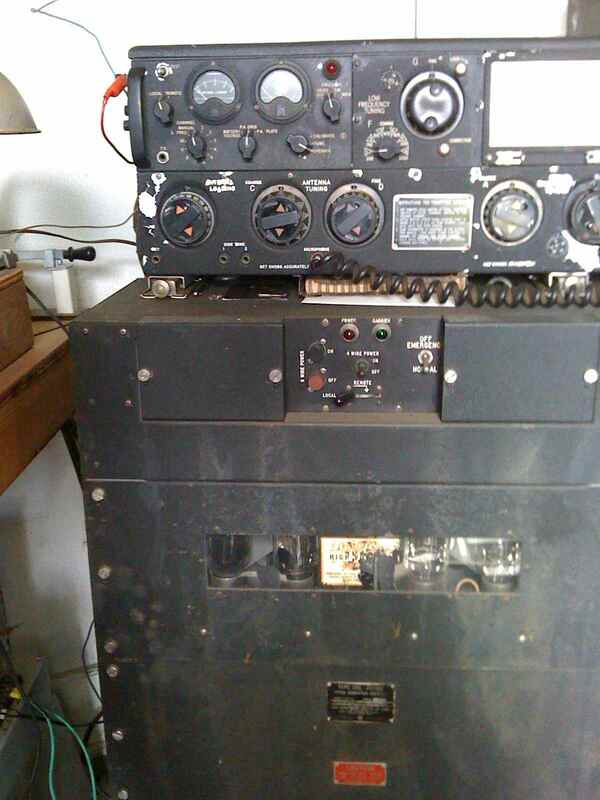 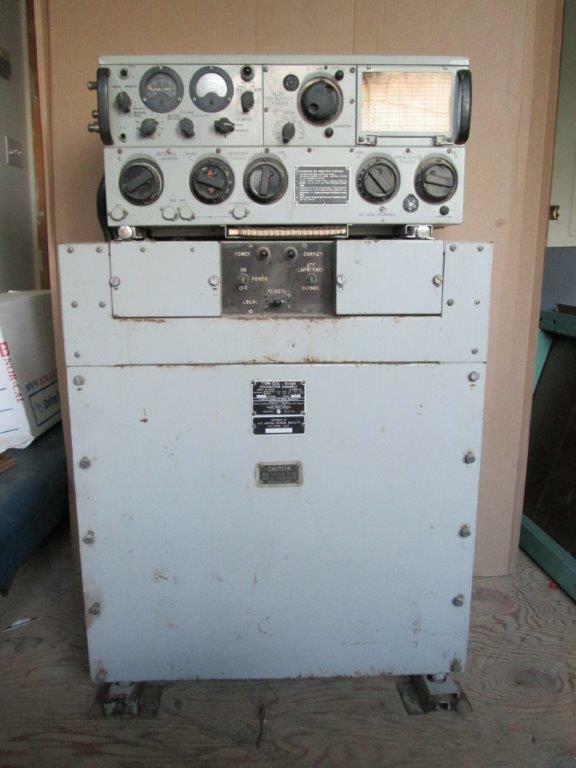 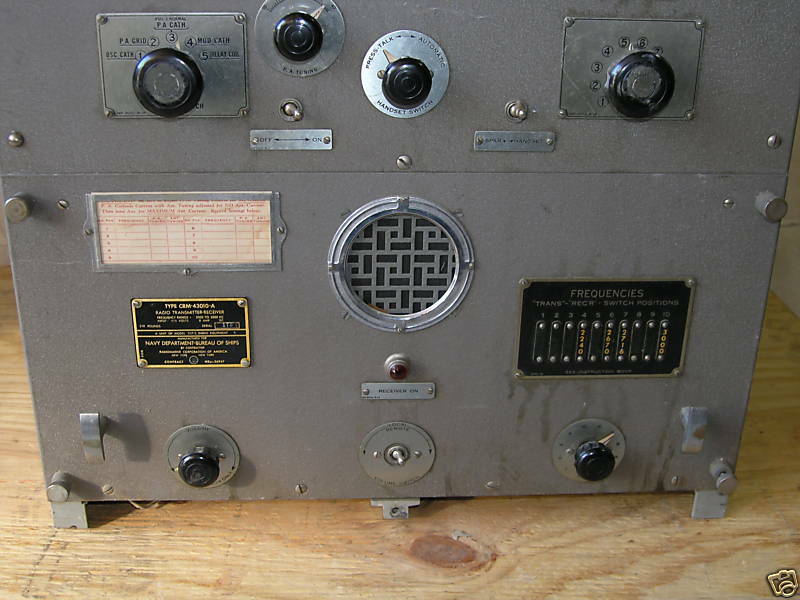 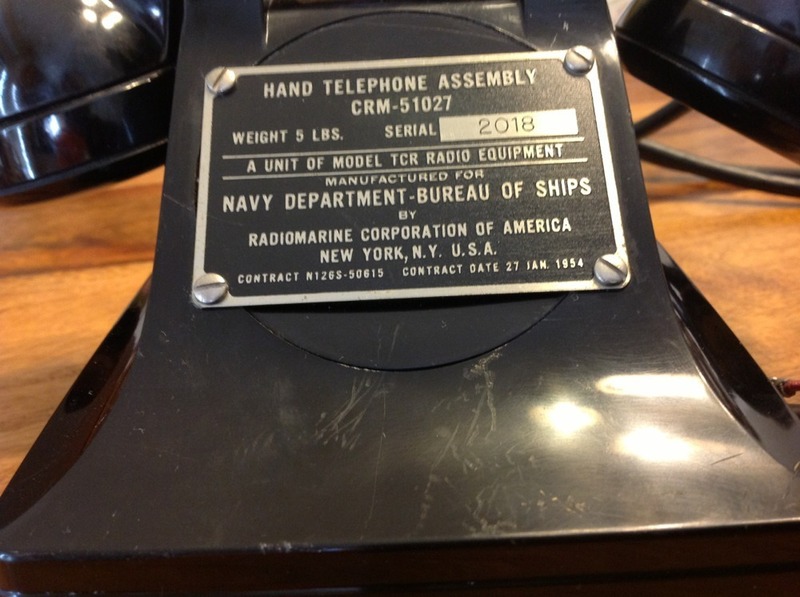 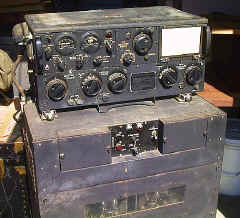 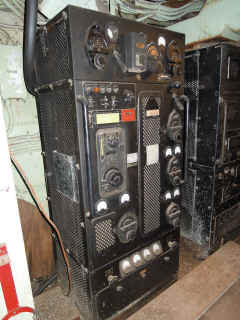 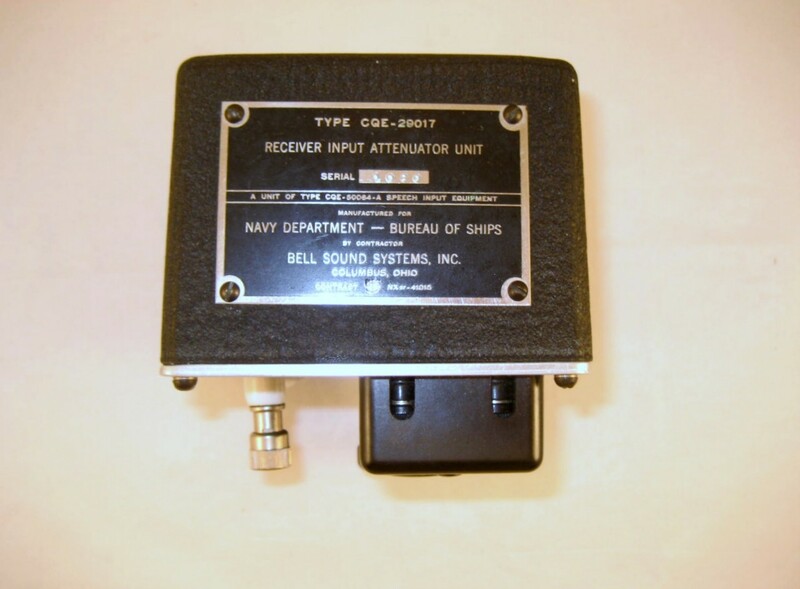 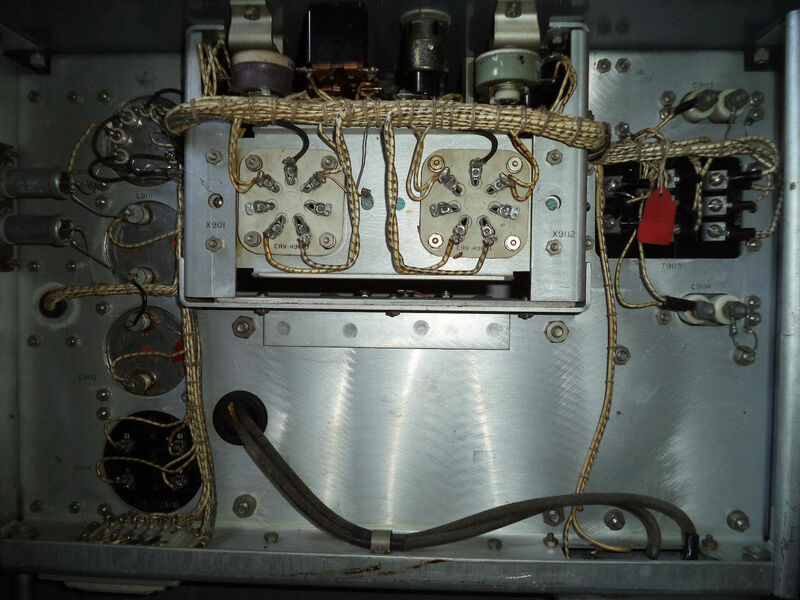 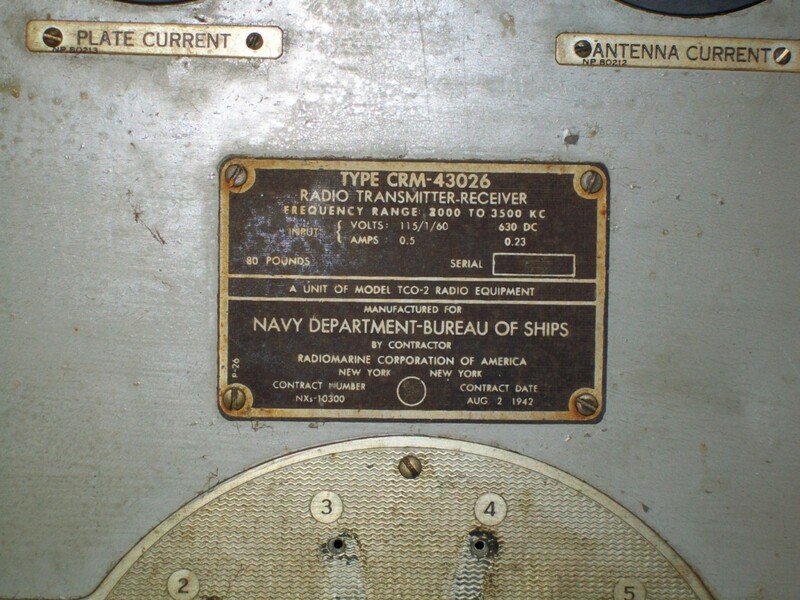 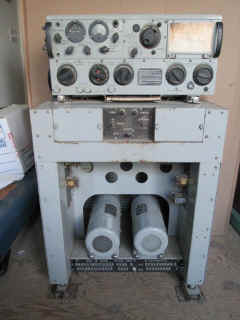 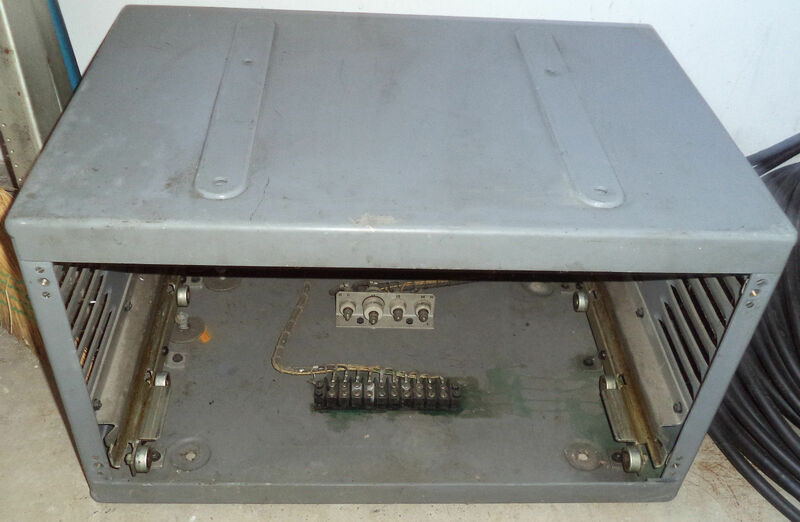 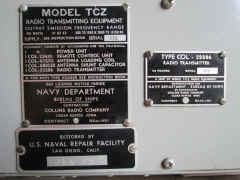 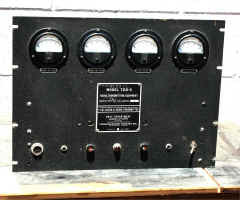 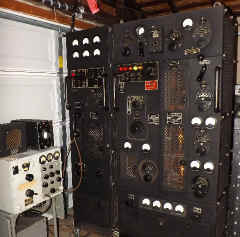 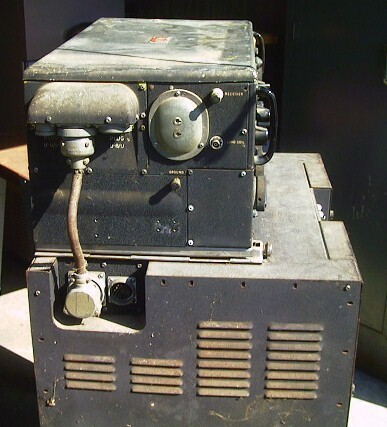 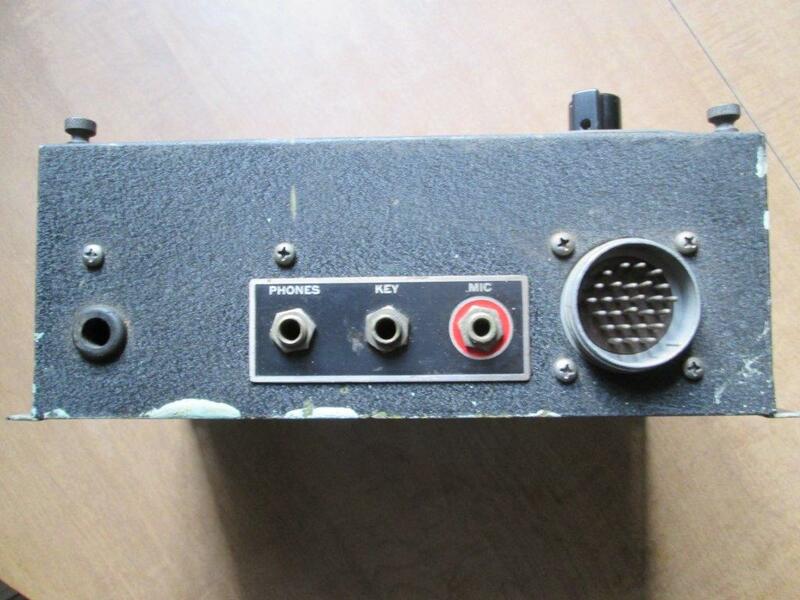 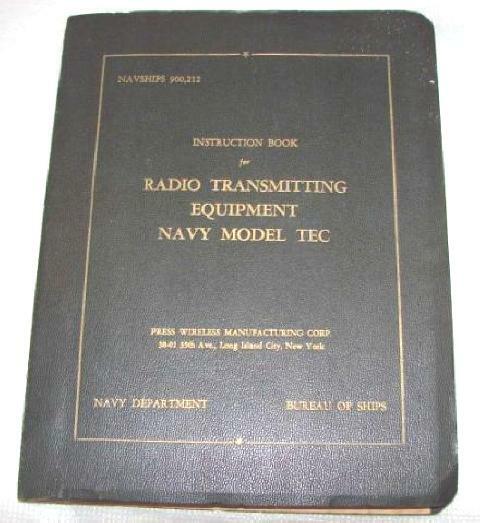 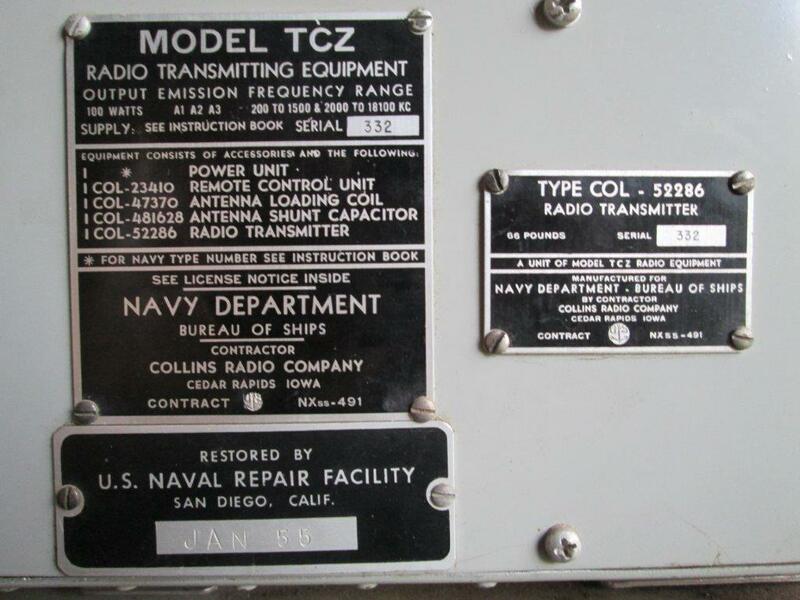 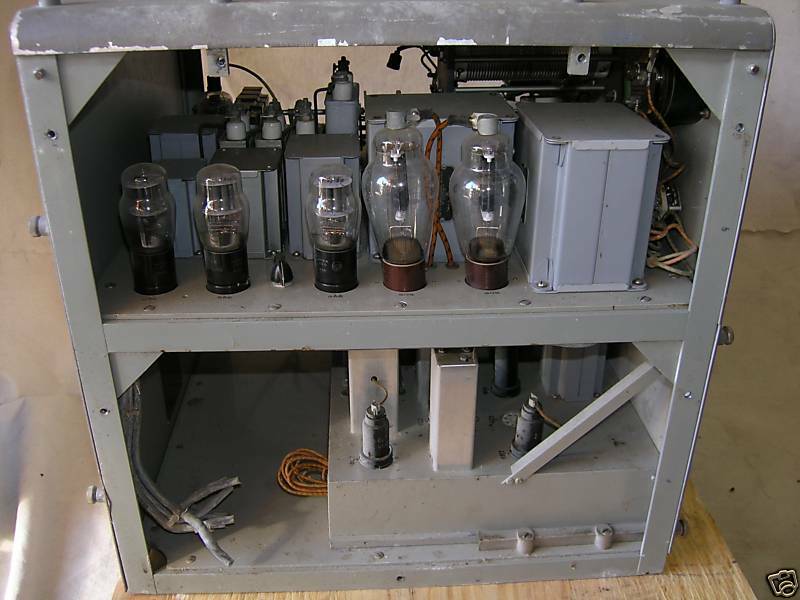 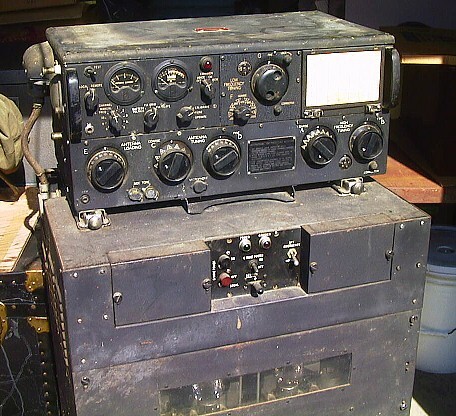 - photo of TEB at KTK Radio Transmitting Equipment TEB is used for general purpose, high-power, h-f, radiotelegraph, or frequency-shift operation in shore-to-ship, and point-to-point communication. 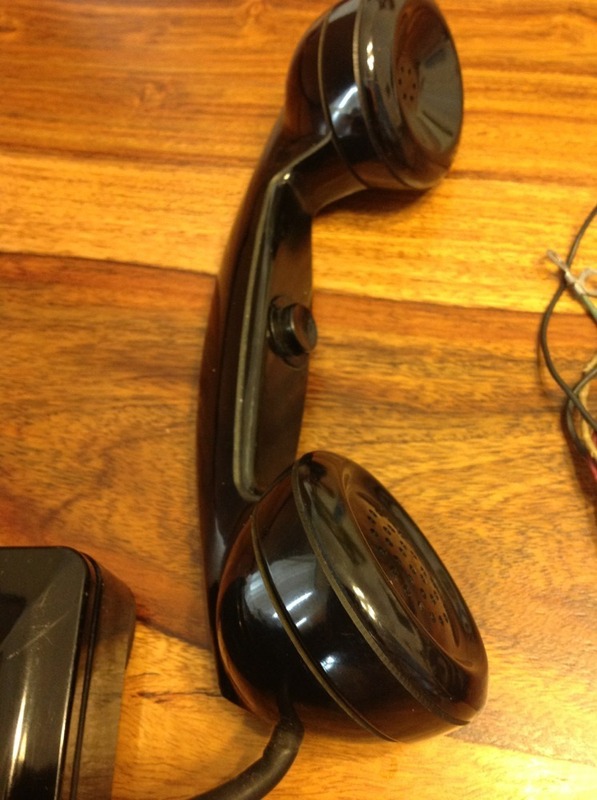 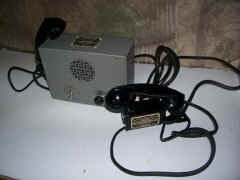 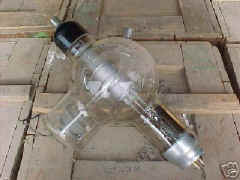 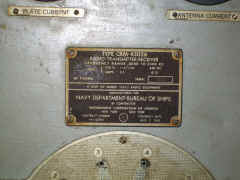 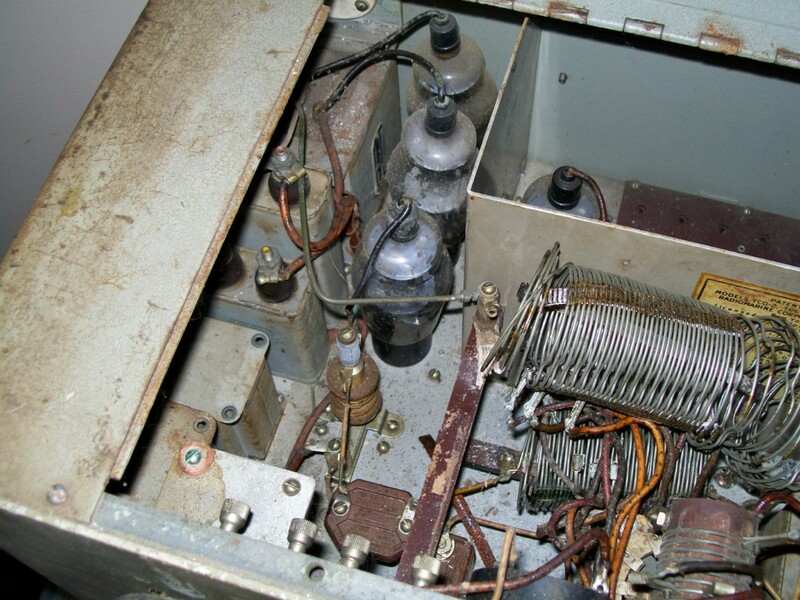 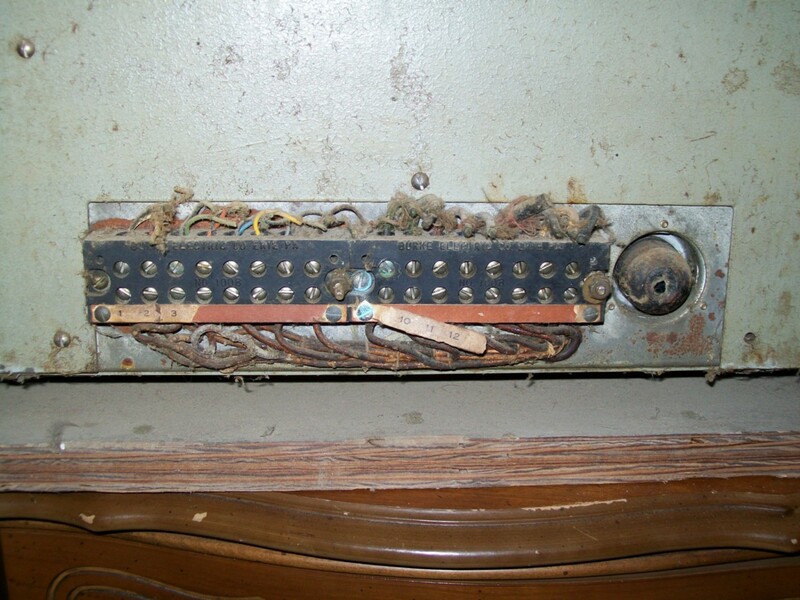 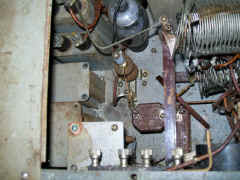 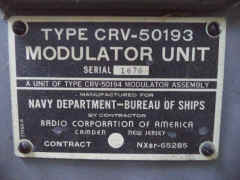 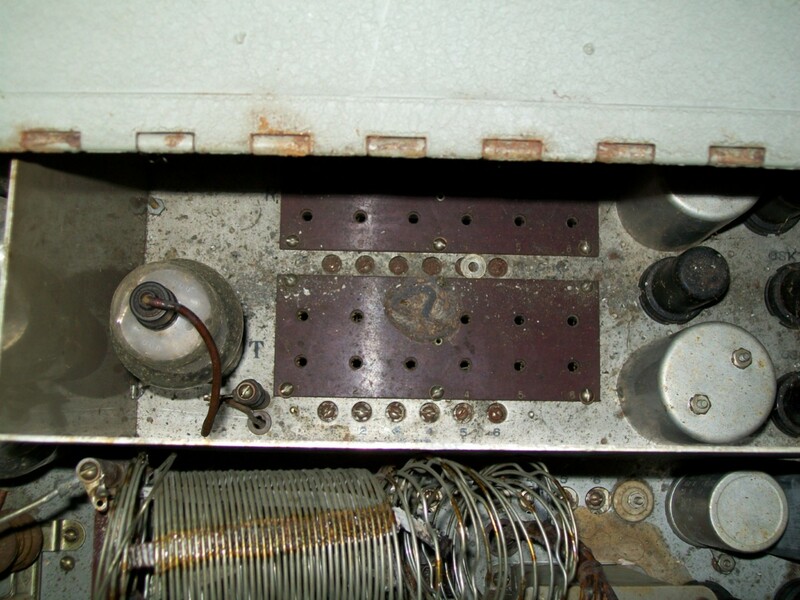 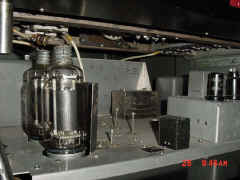 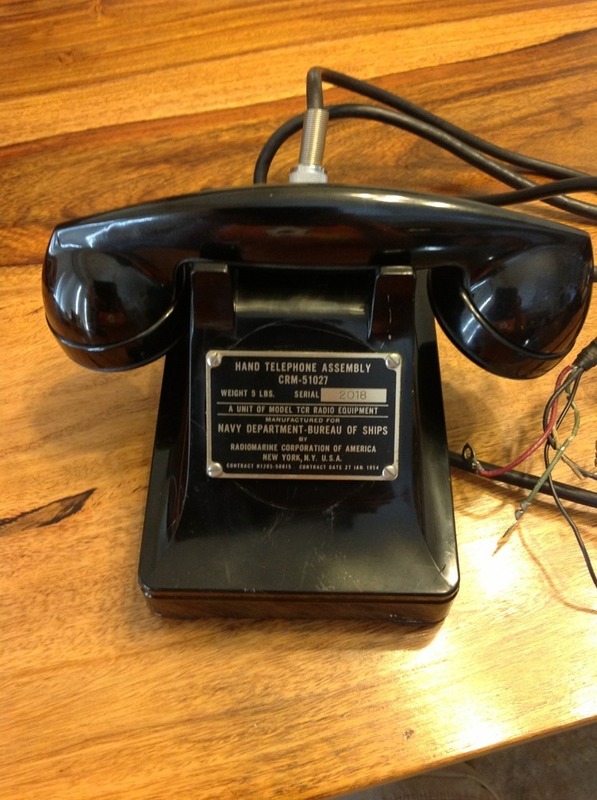 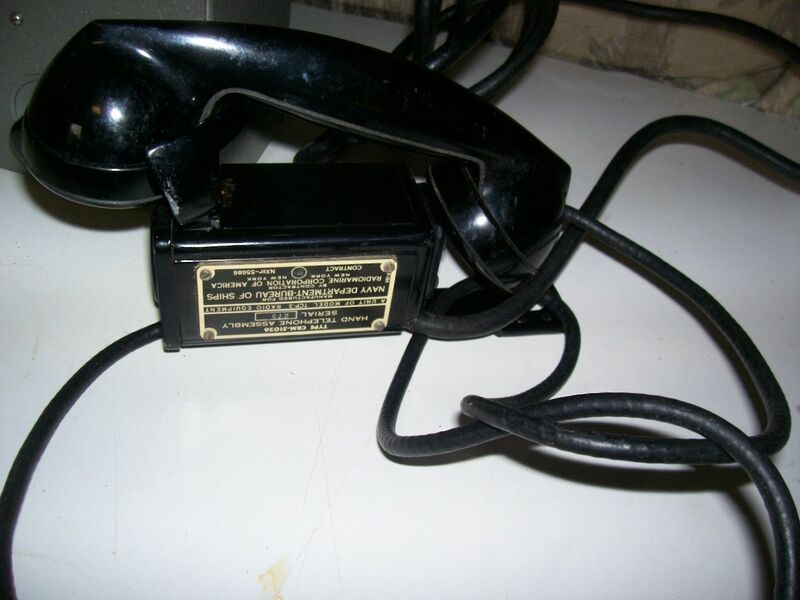 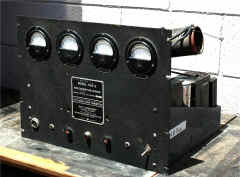 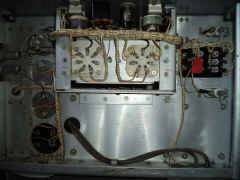 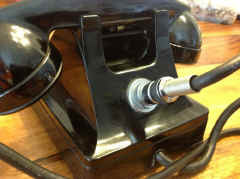 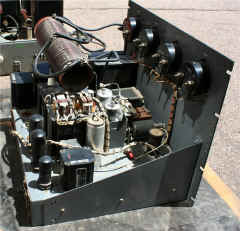 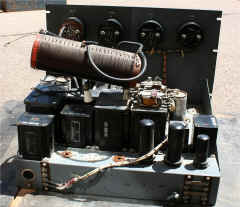 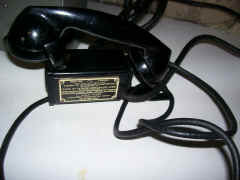 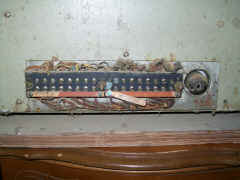 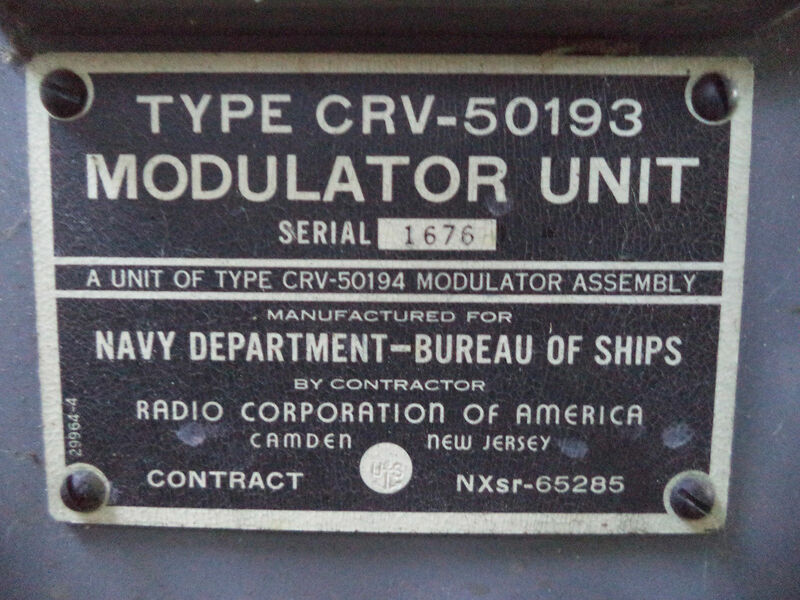 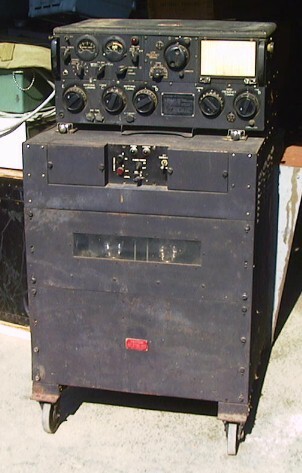 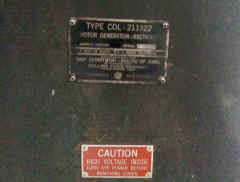 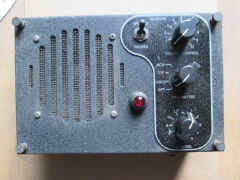 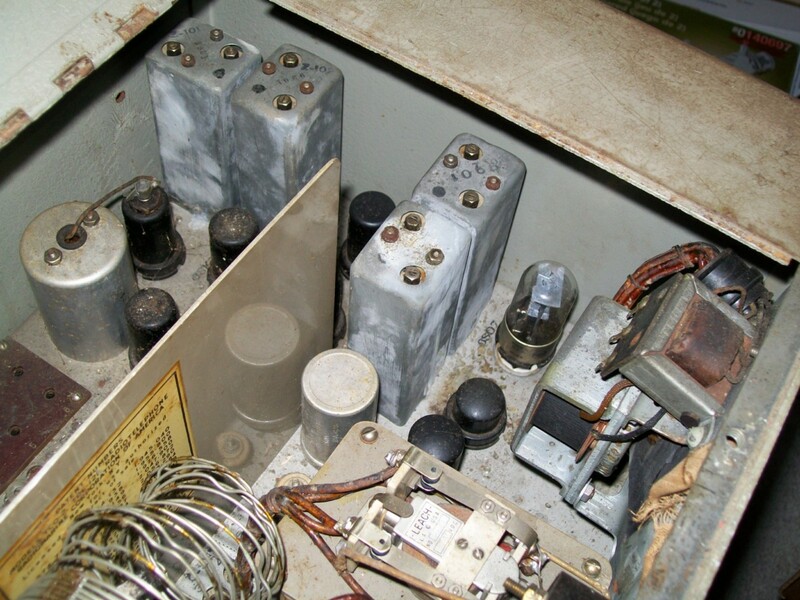 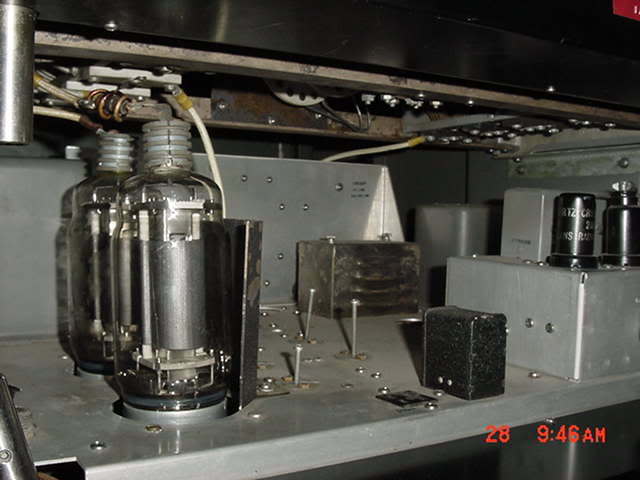 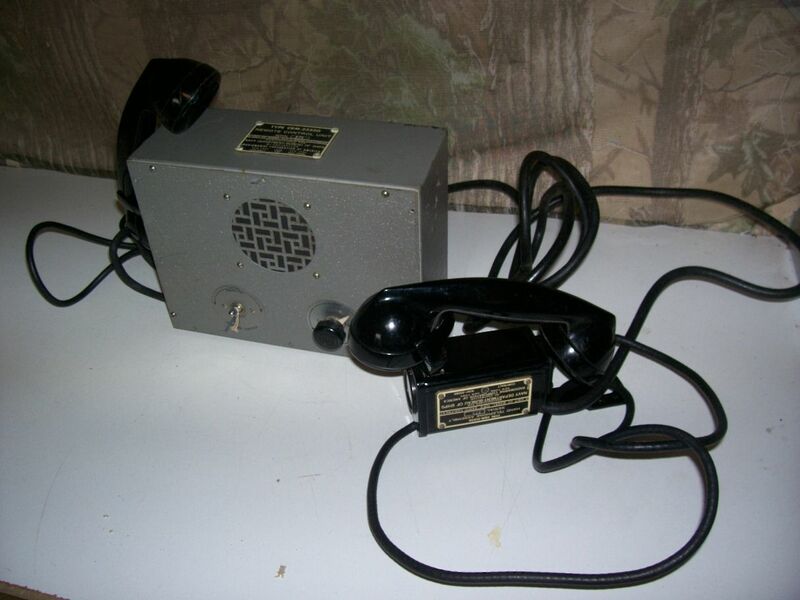 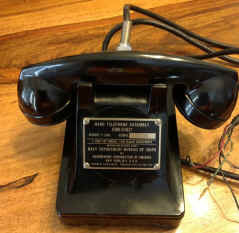 Vacuum-tube keying speeds up to 400 wpm are possible, and provision is made for the connection of an external frequency shift keyer. 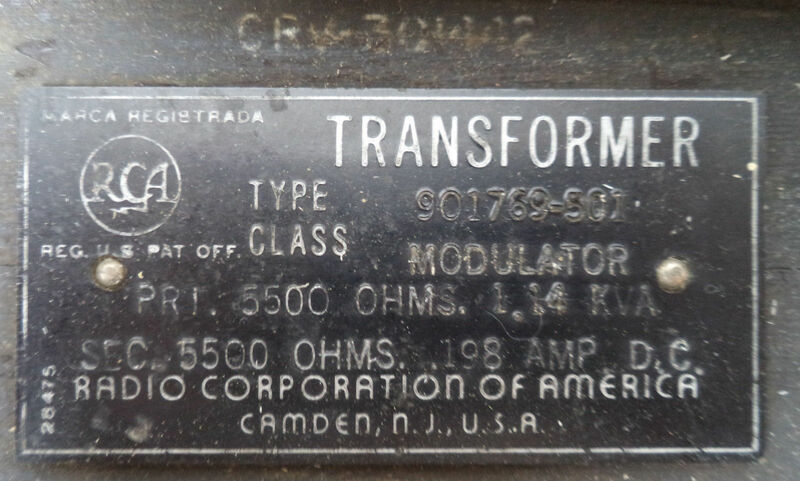 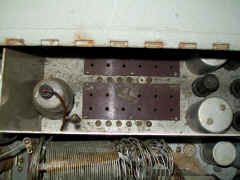 Six preset crystal-controlled channels ore available, and provision is made for connection of an external master oscillator. 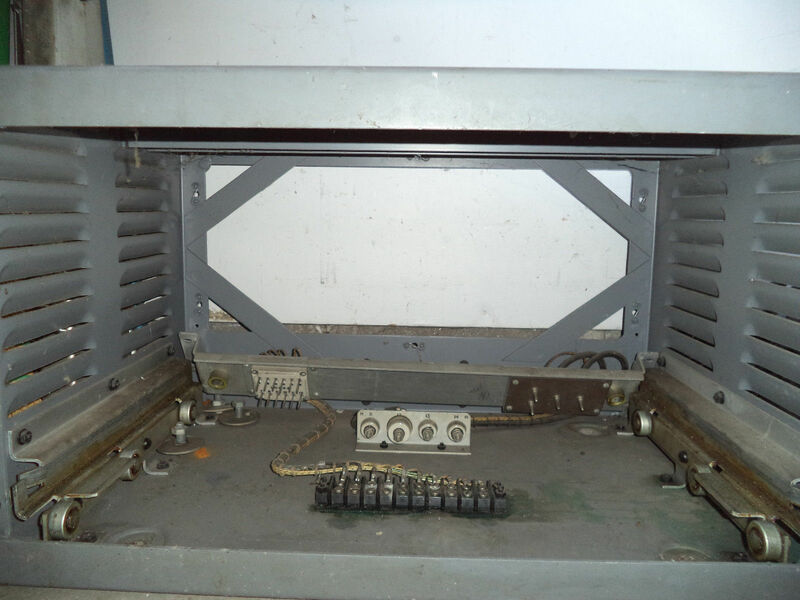 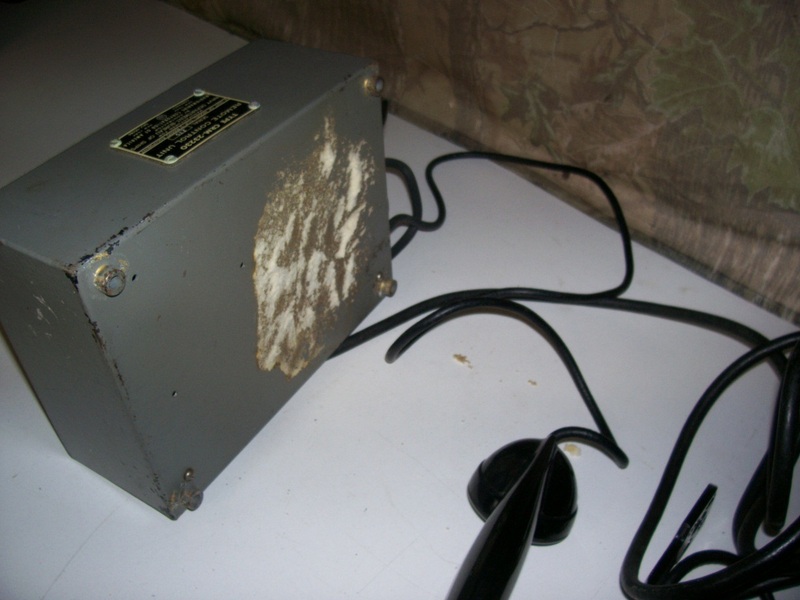 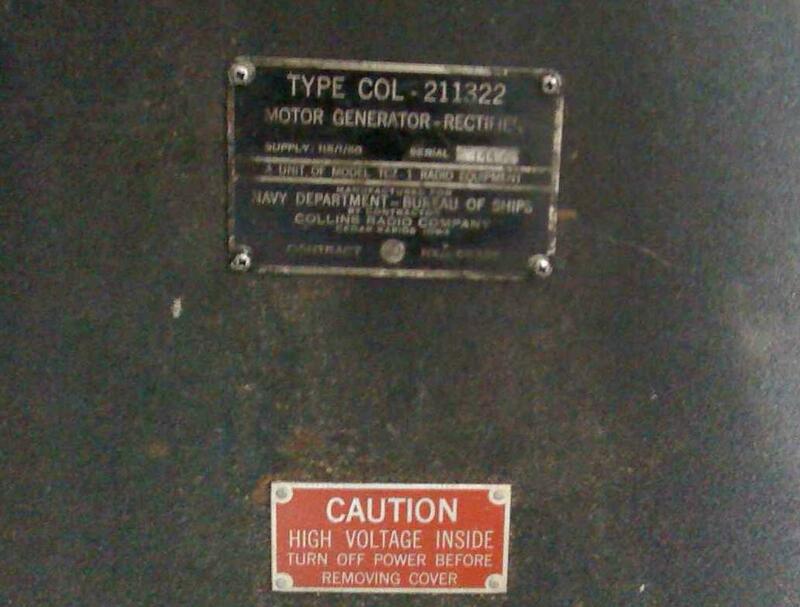 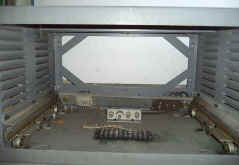 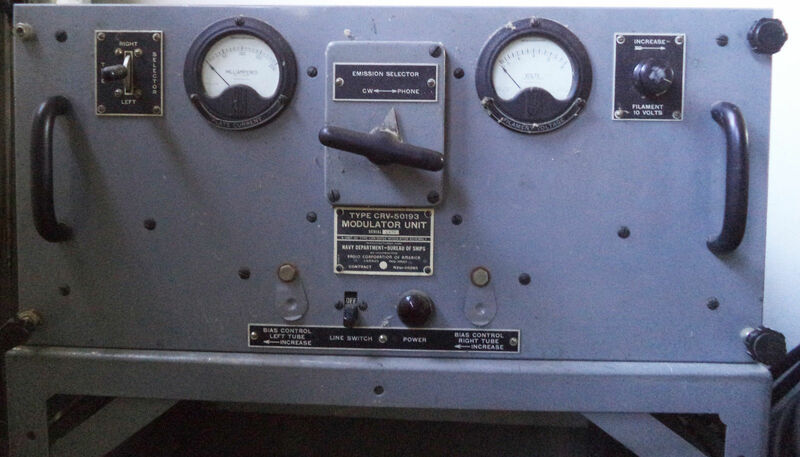 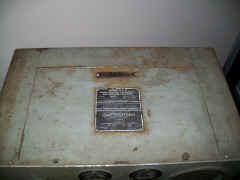 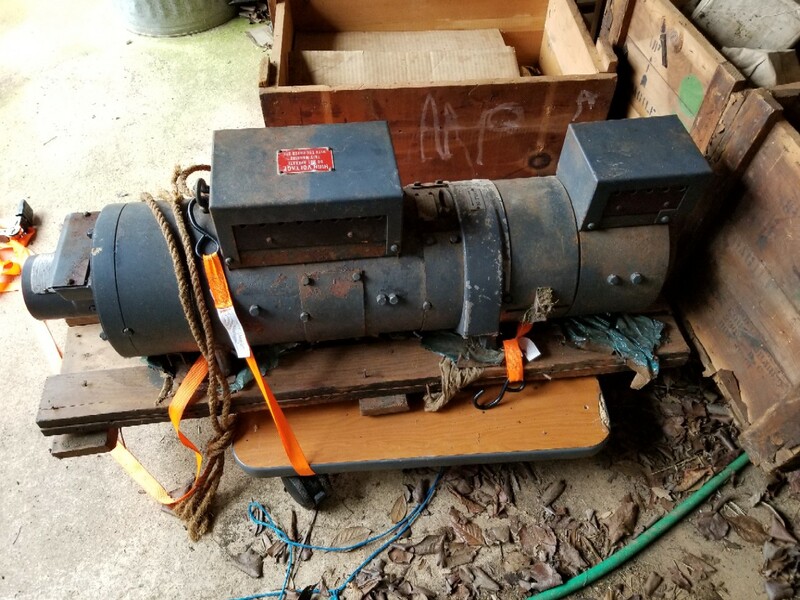 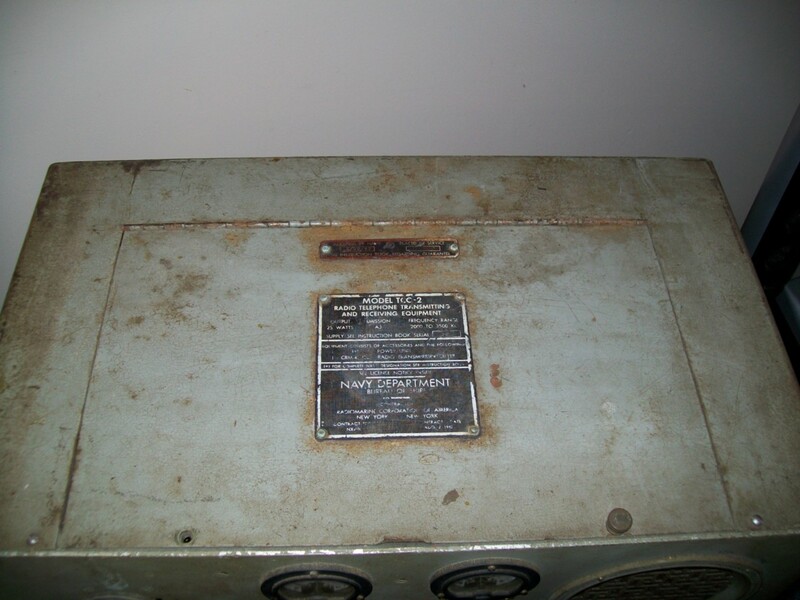 An automatic control circuit will shut down the entire equipment, except blowers and oscillator oven, if the transmitter is not keyed for a predetermined period (adjustable from two to 30 minutes). 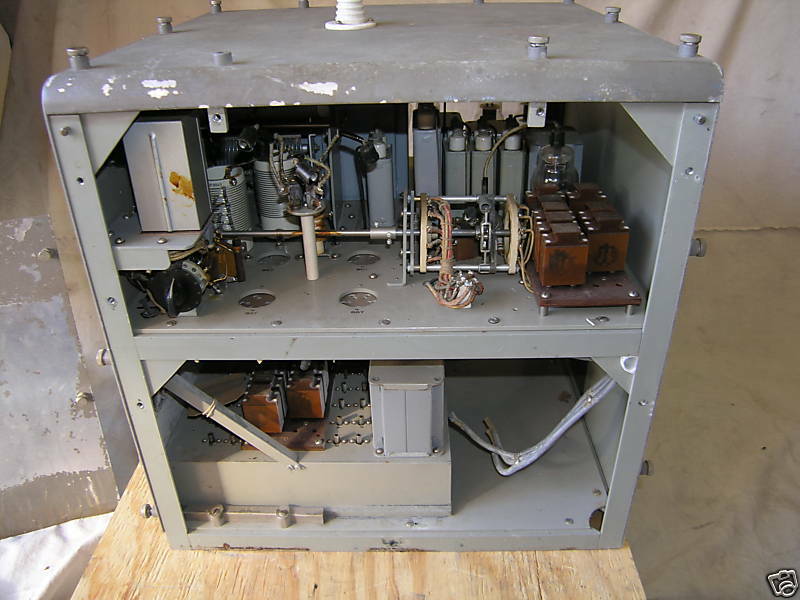 This equipment is designed to work into a balanced two-wire transmission line of 550 to 650 ohm impedance and zero reactance.